This picture was taken while you were on a mission in Manila. In the background I see some things that make me think your fellow MTC-ers had a little celebration for you that day. 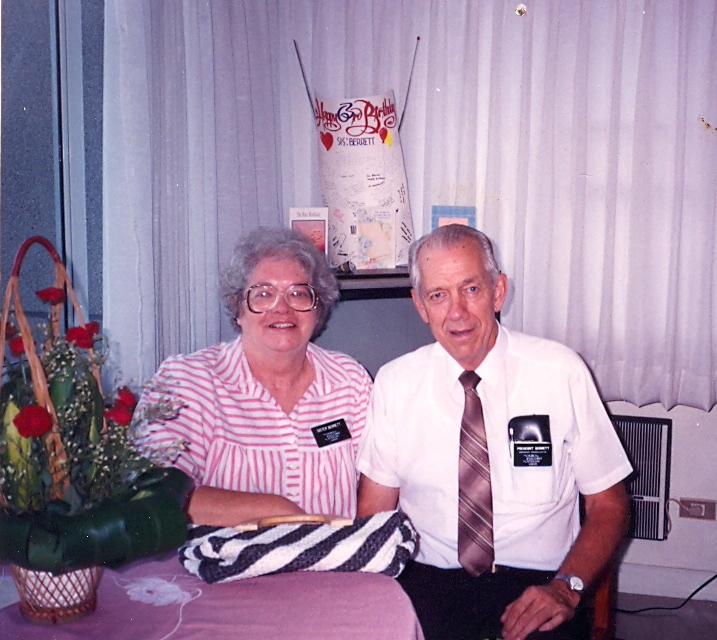 I’m assuming that Dad came through with the roses for you, even as a missionary. He’s good that way. And I’m pretty sure you’ll be getting some red roses today as well. This year we had a big party for you in August. Remember – the one you helped plan to celebrate this milestone? Almost all the family came to the festivities at Reid Ranch. I think we had 90 rowdy revelers on Monday night. We reminisced . . . cried. . . laughed a lot . . . and had a great time. You taught us how to have a good time. We remembered you with this DVD created by Todd. Although it was difficult to see you back in that hospital bed, you looked good, and it was great to hear your voice. Did you ever imagine that you’d star in your own movie? Some things just take time, I guess!
. 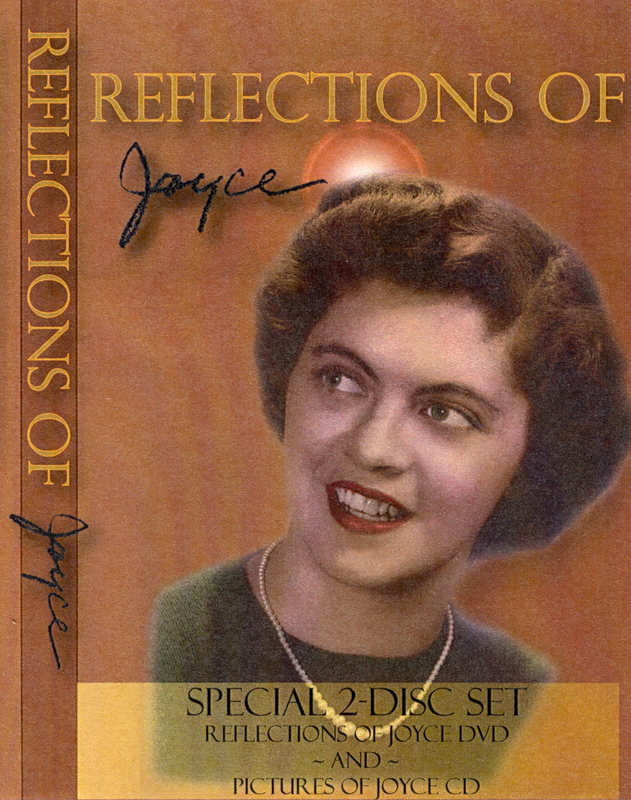 . . starring Joyce! 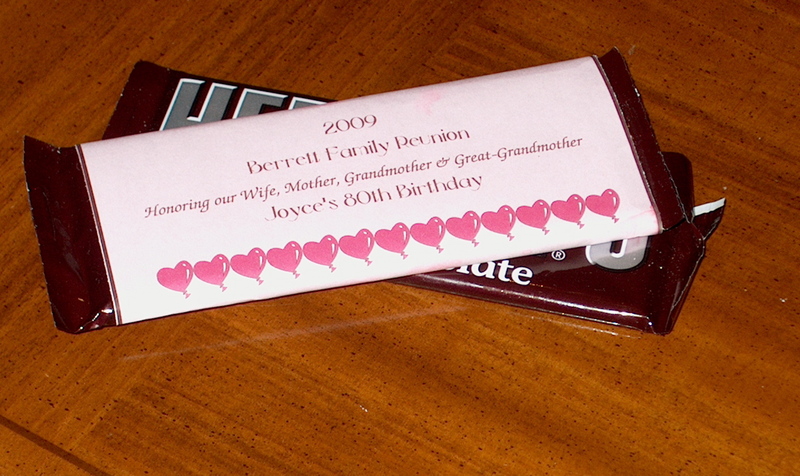 We also remembered you with chocolate that Michelle wrapped up as party favors. Because really, what could have been more appropriate than Hershey’s? I suppose Godiva or See’s or even Dove might have been tastier, but we had 90 guests to favor. And most of them were too little to really appreciate good chocolate. They just melted it into s’mores and ate it as fast as their mothers would allow. But I think I’ll savor some of the really good stuff today in your honor. This is the second time we’ve recognized your birthday since you’ve been gone. It’s easier, but we still miss you. Do you celebrate birthdays in heaven? I hope you’re having a bang up party today! Thanks for making me cry tonight! I have done pretty well but oh how I miss Mom sometimes! I went to the outlet mall in her honor. I guess not as thoughtful as you but it was one of the things she and I did best together! I look forward to doing the simple things, whatever they are in Heaven with her again. Thanks for the memories!